Advertisement in many local publications. The history of Villano Realtors® spans almost three decades and has been a household name throughout Monmouth County and, since 1997, Ocean County. The Seaside Park office opened February 1, 2005. 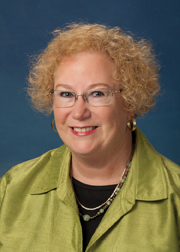 Sherry Villano, Broker-Owner, has been licensed since 1978.
and Member of the Board of Directors for several terms. Sherry was also very involved with the Women's Council of Realtors during the mid-90's, and served as National Director, State President, Local President and was Woman of the Year of that organization. She received the prestigious accreditation of "Performance Management Network", which is the highest level of educational achievement in Women's Countil of Realtors, an affiliate to the National Association of Realtors. Sherry attended Rutgers University for 3 years, and graduated from Peirce College, Philadelphia, PA. She also is a Graduate of the Realtors Institute (GRI), in 1985. Outside the Real Estate arena, in the mid-1990's, Sherry was a Founder of the Friends of Charity which provides funds for cancer research at the University of Medicine and Dentistry of New Jersey (UMDNJ)-Robert Wood John Medical School. Villano Realtors® expanded south and opened its office in Seaside Park in January 2005. 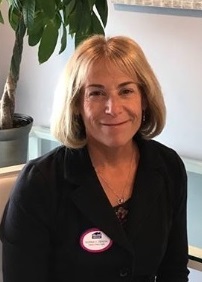 Sherry is currently very active in the community affairs of Seaside Park, and is well respected as a businesswoman and an activist in the local town. Debra is a third-generation "Sterling Realtor" in Seaside Park. Her family's involvement in Real Estate began in 1926. Debra has 30-plus years experience as a Realtor, specializing in primary, secondary and resort and waterfront home ownership on the barrier island. Debra has been a member of The Seaside Rotary Club for 24 yrs and is very active in fundraising projects throughout the beach area communities. Debra is a graduate of Lesley College in Cambridge, MA with a BS in Education. Debra prides herself on her honesty and ability to listen to her clients needs. She's looking forward to assisting you with all your Real Estate needs. 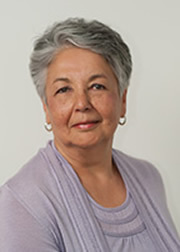 We are very happy to announce that Annette joined Villano Realtors in 2011. Her real estate career began in Lavallette but she soon realized the importance of working where you live. Annette lives in South Seaside Park and wanted to sell homes in Seaside Park and South Seaside Park. Villano Realtors is a successful, full service realtor specializing in resort and second homes offering unparalleled client service. It is the neighborhood realtor you can trust. It was the only choice for Annette and we hope it is for you too. Annette understands first-hand the important needs of homeowners in our community; she knows and realizes the benefits of residing here. Sharing this knowledge, professionally with honesty and integrity, is the key to Annette’s success as a realtor. She works with buyers and sellers in every price range and strives for a smooth and effortless transaction. Annette’s first career was in advertising and marketing. The communications and marketing skills she developed during her years in advertising are valuable assets in real estate sales. She believes a strong web presence is essential to successfully market properties and will use Villano Realtors web based promotion and partnership with Realtor.com to its fullest. Whether it’s Buying, Selling or Renting, Annette is here to help you with all your real estate needs. Just call or stop by the Villano Realtors office any time. You will not be disappointed. 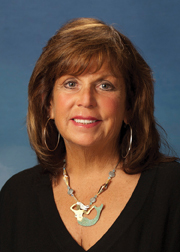 Pat is a licensed NJ Real Estate salesperson, who joined the Villano team in 2010. She was born and raised in Staten Island, N. Y. and has been vacationing in Seaside Park with her family since she was 8 years old. She and her husband moved here full time in 2005. She enjoys life at the Jersey shore and knows the benefits of selling homes in the town where she lives. 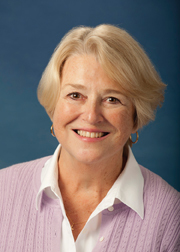 Pat fully understands the needs of buyers and sellers on the barrier island as well as in neighboring communities. Pat's first career as a Nurse Executive prepared her with communication, relationship building and marketing skills, as well as superb customer service. These are all valuable assets in Real Estate. She believes that a strong web presence is essential to successfully market properties, and uses the Villano Realtors web based promotion as well as our partnership with Realtor.com, Trulia and Zillow to its fullest. Pat received her BSN from Kean University and her MSN from Wagner College, and is also an adjunct professor and clinical instructor in the Nursing Department at Kean Ocean, an extension of Kean University at Ocean County College. 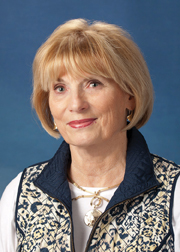 Pat loves living at the Jersey Shore, and looks forward to assisting you with your real estate needs. Paula is now a full-time resident of Seaside Park, although she and her family have enjoyed our town for many years as home-owners and part time residents. When you're staying in town 3-4 days a week, it's time to move! She admits that she'd rather be in Seaside Park than anywhere else. Paula passed her Real Estate License exam in 2006, and is a member of Villano Realtors as a fully licensed Sales Associate. 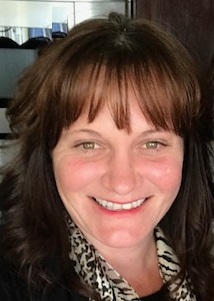 Paula received a designation as ABR - Accredited Buyer Representative in 2013. What defines Paula's work with her clients: "the pleasure is in earning the trust of my clients and seeing them happy with the result of my labor". 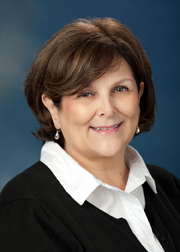 Prior to joining Villano Realtors for 30 years Paula was a bookkeeper in the Leasing division of an auto dealer. She and her family come to us from Morris County in north Jersey. 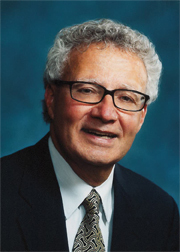 Charles is a Sales Associate with Villano Realtors, and has been a licensed Real Estate agent since 1975. He specializes in Commercial and Investment Property sales throughout NJ. Charles is currently President of Forbes Liquors Inc. in Brick, NJ. In his youth, Charles' family owned and operated Blue Front Market & Liquor Store on Central Avenue in Seaside Park. Charles is a graduate of St. Benedicts Prep and Boston College. Charles previously worked for the New Jersey Economic Development (EDA) for over 23 years where he assisted companies obtain over 3.5 billion dollars of EDA financing. He was President of the New Jersey Bond Club. He plays competitive tennis and is an overall sportsman who enjoys barrier island living. He'll be delighted to assist you with any of your commercial property real-estate questions. Adriane is a licensed realtor associate and a dedicated team member. In February 2013 she joined Villano REALTORS® starting as our Administrative Assistant. Adriane quickly became an expert in rental properties and added Rental Manager to her responsibilities. Adriane’s background includes over 17 years’ experience in direct marketing and fulfillment services with a primary focus on database management. Norma joined Villano Realtors in September 2017. After spending all of her childhood summers in Seaside Park, she moved here and raised her three children in this special community. As a property owner, a former Seaside Park school board member, and a former councilwoman, she has a unique understanding and love of Seaside Park and the surrounding area. With over 30 years of experience as an educator, she prides herself on her sharp communication, leadership and negotiation skills. She is tremendously excited to share her knowledge and expertise while assisting you with your real estate needs. in addition to website design and Webmaster Services for selected clients. Her company, IdentityImpact LLC is headquartered in Seaside Park, where Jane and John have been property owners since 1996, and full time residents since 2000.